You know how sometimes you have something you need to do. And instead of doing it right away, you put it off for a bit, and then keep putting it off for another while? And then suddenly you've surpassed the time frame in which it was acceptable to do that thing and now everything is awkward and embarrassing? For example: When I was in elementary school I took group swim lessons at the local pool during the summer. One year, my class had a temporary swimming instructor who misheard me when I introduced myself and thus took to calling me "Hosanna" (weird). As a shy child, I decided it was less embarrassing not to correct him since he was only going to be working with us for one day. Wrong. Unfortunately, I was mistaken about his tenure as our swimming teacher. He continued to teach us and address me as Hosanna for the duration of the summer. I continued to pretend "Hosanna" was my name and hope that the other kids in my class wouldn't bust me. Basically what I'm saying is that I didn't update this blog for a while and then kept not updating it for such an embarrassingly long time that I felt like I needed to start answering to "Hosanna" again. The fact that my last post was part one of a two part post just makes it worse. Like what is this girl doing!? Leaving such a cliff hanger of a post on the history of yeast?! I know, I know, I'm terrible. I'm sure everyone is on the edge of their seats waiting to read more about different kinds of yeast. And yet, my first post after a four month hiatus is not yeast part 2. Sorry...let's call it Practicing Delayed Gratification. Instead, I want to publicly call myself out on not posting recently. I sincerely love baking. In my mind, it's a lot simpler and easier to get out a bunch of ingredients and spend a few hours in the kitchen than to write a post about it. Putting something out into the world is scary. If I'm unimpressed with the final product when baking, I'll just toss it or make my boyfriend eat it while sworn to secrecy. Putting a blog post out into the vast internetland means that anybody anywhere could be reading this and shaking their head in disapproval and disappointment at my poor writing skills. I guess that's part of living life, though. I don't know the best way to improve my blogging skills, but I have a strong hunch that it is not by avoiding the blog completely. Well, that was a lot of non-baking talk. So, in reference to the title of this post, I'll share a few snippets from my baking-not-blogging activities from the past four months. 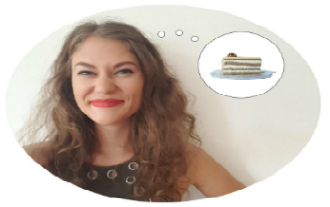 October: I realized that I was in something of a baking rut- I was only baking tried-and-true recipes without changing anything, so I wasn't challenging myself at all. It felt very stagnant. I jumped out of my comfort zone by trying my hand at these Better Nutters from Bouchon Bakery's cookbook (the book was an awesome birthday present from my cousin Marie!). Honestly, I wasn't wowed by the outcome. However, I've googled the recipe and seen that almost all of my favorite and most-trusted baking websites have posted about it, so there must be something I'm missing. These are on the list to try again! 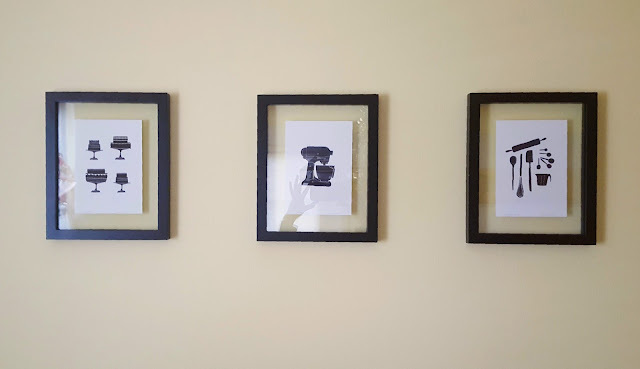 November: I commissioned an artist friend, Nikita Zook, to create some baking-related artwork for my kitchen/dining room area. The bare walls were really wanting for some decoration, and I absolutely love Nikita's style. I gave her some guidelines on what I was looking for and then she sent me several drawings and let me choose what I liked and didn't like about each. Being so involved in the process was awesome. She even provided framing suggestions, since that is certainly not my forte. I absolutely love the final product- this picture does not do justice to the smaller details. I would definitely recommend checking out Nikita's instagram to see more of her work. December: Kyle requested my family's traditional Saturday night meal of zwiebach, scrambled eggs, and hot cocoa. Growing up, we ate this meal at my grandparents' house every Saturday night. If you're not familiar, zwiebach is an enriched yeasted dough. It comes from my German/Russian Mennonite background and is completely delicious. As a bonus- baked zwiebach also freeze well. 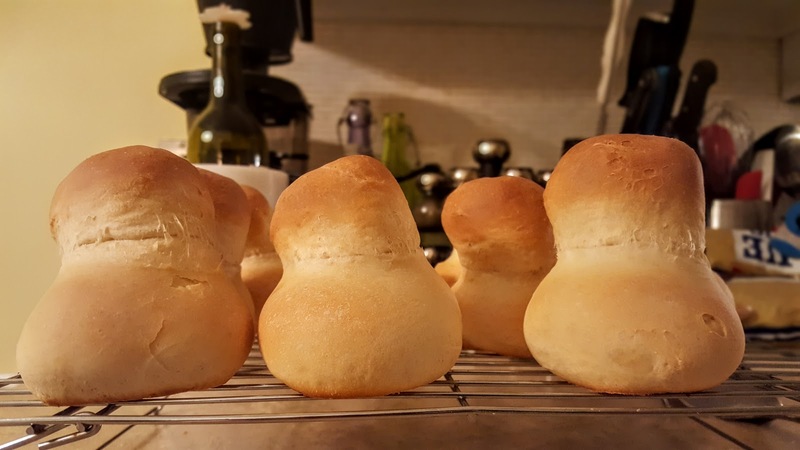 We are still eating zwiebach leftover from this baking session! 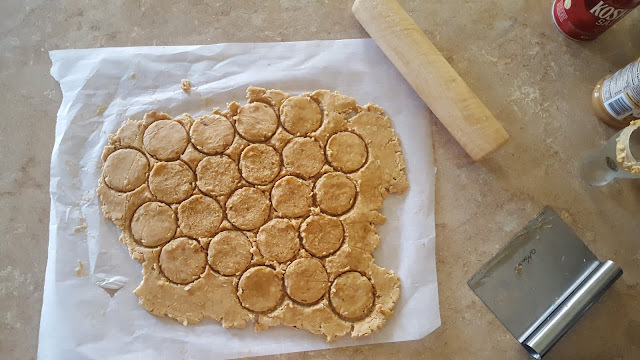 December: Another recipe from my Mennonite background- pfeffernusse or peppernuts. These tiny spice cookies are an essential part of Christmas for my family. In fact, I can't remember a Christmas season that didn't involve hours of peppernut baking. 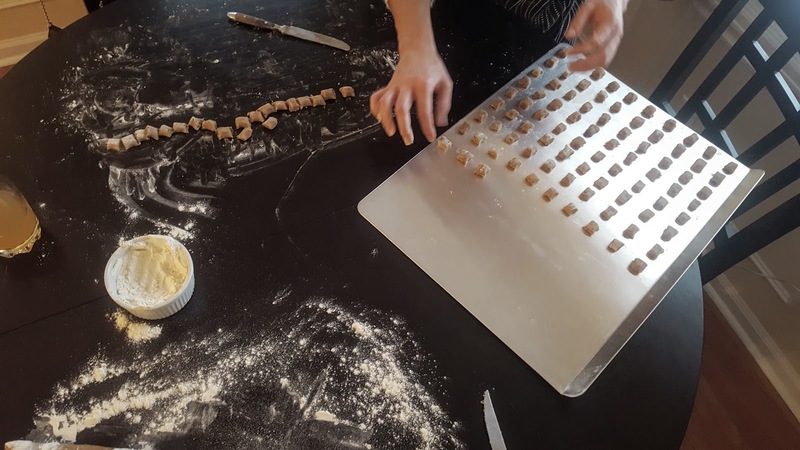 Most Mennonite peppernut bakers will have two or three family recipes that are baked every Christmas. My family is no different, but I always make just one- my favorite of my Grandma Goertz's recipes. Although peppernuts are traditionally flavored with anise, my recipe uses cinnamon, cloves, and nutmeg for the spicing. 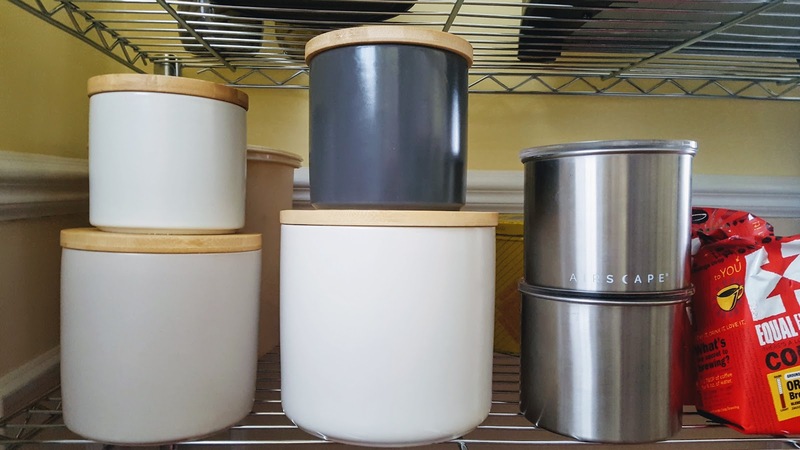 January: My sister Abi gave me these gorgeous canisters from Crate & Barrel for Christmas! I was so excited about them that as soon as we got back to Toledo, I went to Target and bought a shelf to display them on. So really, they were two presents in one, because I'd been needing a shelf for a while but hadn't been motivated to buy one. My kitchen is so happy now! I've filled three of the canisters already, but can't decide what to put in the charcoal-colored one. Any suggestions? You can also see two Airscape vacuum-sealed canisters next to them- Kyle swears by these to keep his coffee beans fresh. He is very picky about getting freshly roasted beans. Me- not so much, as you can see my pre-ground not-super-fresh bags of coffee right next to them. 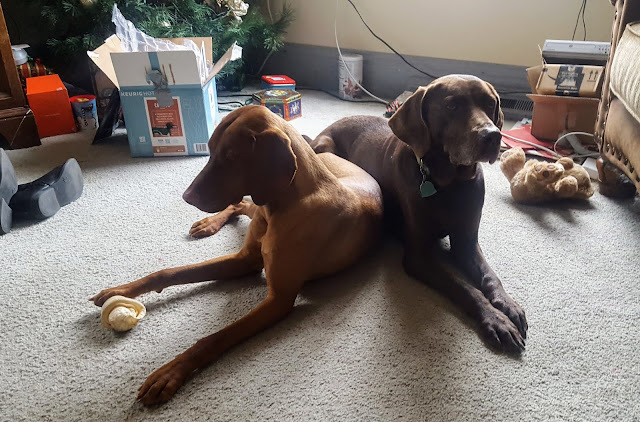 Finally, I couldn't resist posting a photo of the two very, very cute dogs I got to spend a week with over Christmas. The lighter dog is Rory, a very active one-year-old vizsla. She loves to sit on laps and steal bones from Lucy. Lucy is the long-suffering and gentle 12ish-year-old on the right. She is very dignified and sweet and would never turn down a good belly rub. That's all for now, but you haven't heard the last of me this month. My New Year's resolution was to blog once a month. I'm writing it here to hold myself accountable. So, stay tuned for the second yeast post coming up next.